Hog roast Henley on Thames is positioned on the River Thames; Henley on Thames is a popular town for commuters helped by its rail links the proximity of the M40. To most people the town of Henley on Thames is synonymous with the hog roast Henley Royal Regatta. Traditionally held at the end of June/beginning of July the regatta has become an essential part of the “English Social Season”. The regatta attracts rowing teams from all over the world and is held on the straight stretch of the river known as “Henley Reach” starting at Temple Island and finishing at Poplars Point a length of just in excess of 2100 metres. Several days after the regatta the famous Henley festival takes place along the bank of the river with a floating stage. 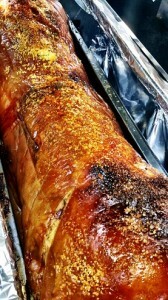 This is a very busy time for partying and at Spitting pig we have many satisfied customers who have enjoyed a tasty hog roast Henley on Thames pig roast, either at home or as part of a corporate entertainment event connected with the regatta or festival. 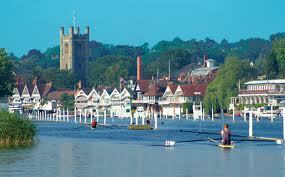 There are a number of rowing clubs in Henley, the oldest and best known of which is the Leander Club. There is also Henley Rowing Club, Upper Thames Rowing Club and several others. So if rowing is your sport Henley is a great place to live. The River and Rowing Museum is one of the most frequented tourist spots in Henley. There is a wide range of exhibitions appealing to all age groups and an eclectic series of events for adults and children. The building is striking and a perfect place to hold a wedding or reception situated as it is overlooking the Thames and its water meadows. A hog roast Henley on Thames would be a perfect addition to your wedding reception and Spitting Pig Buckinghamshire can supply as much or as little as you require. We can cater for your second wave of invitees or we can handle your entire wedding reception from canapés through to dessert and serve an evening buffet if required. Away from the river and all things rowing Henley is a bustling market town, with a range of shops to appeal to most people. There is a wide variety of pubs, restaurants and eating houses and if you really want to treat yourself go a little further a field and sample the delights of Heston Blumenthal or Alain Roux. If you don’t want to push the boat out to such an extent and you have a memorable birthday or anniversary coming up contact Spitting Pig Buckinghamshire. We have lots of menu ideas and our team works with you to ensure your special day is exactly that. We take away all the worry of preparing food leaving you free to enjoy your hog roast Henley on Thames and entertain your guests. Imagine a warm summer evening, the clink of glasses, perhaps some music in the background and the delicious aroma of spit roasted pig or lamb or whatever takes your fancy. Give us a ring and fix your date! Phyllis Court Club in Henley on Thames was the perfect event for us to cater at! The picturesque location and the stunning building really are a sight to see. Weddings, parties and meeting can all be held there. Accommodation is also offered. We set up our hog machine in the spectacular gardens at around 11am and began to roast the hog. As guests began to arrive it was clear to see that only the most illustrious of person was attending this event. The food definitely matched the splendour of this location. 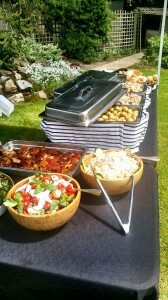 Compliment to the chef were a plenty from the guests with many talking of recommending us for future events. When you live in a location as lovely and as special as Henley on Thames, you would expect that any special celebrations that are held in and around the area should be very special too. It seems only right that this should be the case. After all, one would not expect the Queen to tuck into fish and chips at a birthday party? And with the town’s fine history of rowing and all things maritime, it seems only fitting that a great catering solution for the area should be something robust, strong and long lasting. Perhaps this explains why the Hog Roast Henley on Thames is now seen as one of the most perfect catering combinations available in these parts? On the face of it, it may sound unusual that a meal such as hog roast is proving to be a winner with people here and throughout the rest of the UK, but when you analyse the great qualities of hog roast, it really is quite perfect for a town such as Henley on Thames. For a start, hog roast offers tastes that are simply out of this world especially when compared to other catering solutions that may be available. You simply cannot compare the freshly cooked, slow roasted taste of hog roast to anything else. Sandwiches may be fine for light snacks but if you really want to deliver a quality flavour that packs a punch then hog roast really is probably the very best way to deliver on all counts. And that’s before you get to the visuals of hog roast, which it has to be said are one of the highlights of a hog roast. What could look more decadent and classier than a spit roasted pig being slowly roasted away by a dedicated chef? If that isn’t a catering solution appropriate for an area such as Henley on Thames then it is difficult to know what is! Hog roast really is the perfect partner to any event and one that a rower or boat skipper will appreciate just as much as anyone after a hard day’s work on the river. Copyright © 2019 Spitting Pig Buckinghamshire . All Rights Reserved.